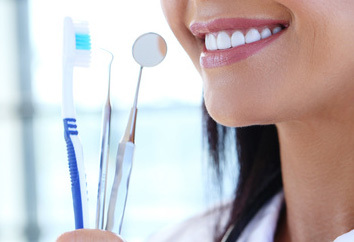 your dental and oral health needs met under one roof. safe, gentle, high-quality dental care. overall health, its important to your oral health as well. with good eating habits and daily cleaning of the teeth. 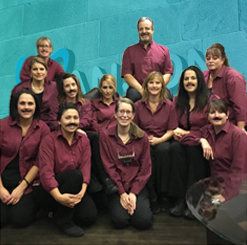 At Hanson Dentistry we believe that every smile has a unique story. Every day in our practice, we meet patients who feel uncomfortable with their smiles. No one needs to go through life being self-conscious about his or her teeth. 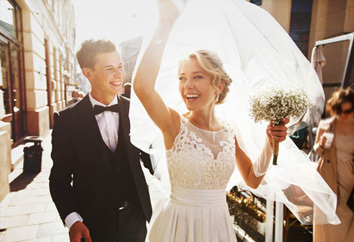 Together we can create a plan that works for you and enables you to have the smile you’ve always wanted, and tell the story that really describes you. Hanson Dentistry is committed to providing you and your family with safe, gentle, high-quality dental care. We understand that you or your child may feel anxious about visiting the dentist. We are sensitive to your needs, and it is our goal to make you feel comfortable visiting our practice and to provide the best care possible. Your dental hygienist will remove plaque and tartar deposits that have built up on the teeth over time. Saliva continually bathes your teeth and it contains calcium and other substances to help strengthen and protect them. While this is a good thing, it also means that calcium deposits may build up over time. Whitening lightens teeth and helps to remove stains and discolouration. It is among the most popular cosmetic dental procedures because it can greatly improve how your teeth look. Whitening is not a one-time procedure; you must repeat it from time to time to maintain the brighter colour. 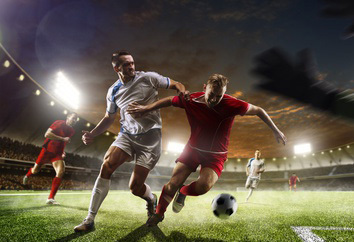 Traumatic dental injuries often occur in accidents or sports-related injuries. Chipped teeth account for the majority of all dental injuries. Dislodged or knocked-out teeth are examples of less frequent, but more severe injuries. Treatment depends on the type, location, and severity of each injury. 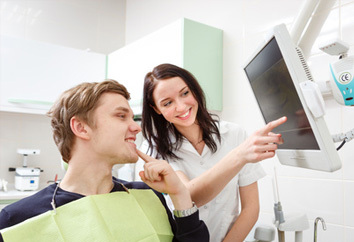 Any dental injury, even if apparently mild, requires examination by one of the dentists at Hanson Dentistry immediately. Sometimes, neighbouring teeth suffer an additional, unnoticed injury that only a thorough dental exam can detect. People of any age can benefit from orthodontic treatment. Teeth that are crooked, crowded, or that stick out can affect the way your teeth look and function. 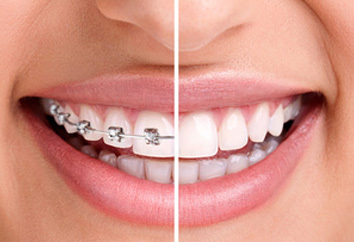 Orthodontic treatment not only improves the look of your smile but improves your health as well. Straight teeth are easier to clean and less likely to decay or get injured. If you are not happy with the way your teeth look or work, orthodontic treatment may help. Gum disease or periodontal disease is an infection of the gums surrounding your teeth. It is one of the top reasons for tooth loss in adults, and because can be virtually pain free, many patients do not know they have the disease. During each regular checkup, your dentist will check for signs of periodontal disease by measuring the space between your teeth and gums. 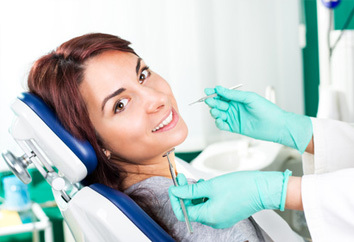 A dentist performs a root canal or endodontic treatment on the inside of a tooth. Root canal treatment is a safe and efficient way to save and restore teeth with extensive damage or disease. The damage might be due to deep decay, repeated dental procedures, faulty crowns, or a crack or chip in the tooth. The procedure involves cleaning the infected debris in the tooth and sealing it with a biologically inert, rubber-like material called gutta-percha. The whole process takes around an hour. Crowns are a cosmetic restoration used to strengthen a tooth or improve its shape. Dentists use crowns most often for teeth that are broken, worn, or partially destroyed by tooth decay. 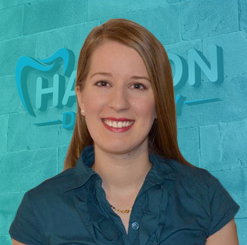 One of our dentists at Hanson Dentistry will cement your crown onto an existing tooth and fully cover the portion of your tooth above the gum line. In effect, the crown becomes your tooth’s new outer surface. Crowns can be made of porcelain, metal, or both. Porcelain crowns are most often preferred because they mimic the translucency of natural teeth and are very strong. 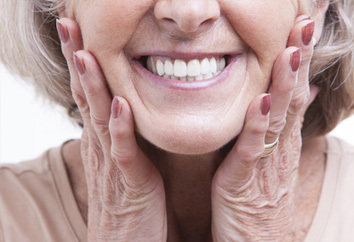 Dentures are natural-looking replacement teeth made by your dentist that are removable. There are two types of dentures: full and partial. Full dentures are appropriate when all of the natural teeth are gone. Partial dentures attach to a metal frame that connects to your remaining natural teeth and fills in the spaces where permanent teeth once were. A filling can repair a tooth affected by wear, decay, cracks, or fractures. Fillings are appropriate when the damage to the tooth is minimal – when 1/3rd or less of the tooth needs replacement. 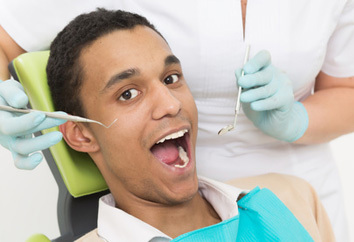 Conscious sedation or nitrous oxide can help patients relax during dental work. 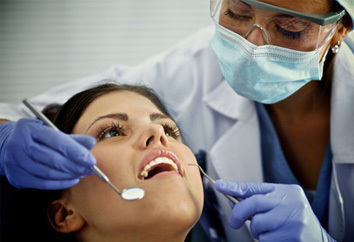 Patients are awake but usually are not able to feel or remember their dental visit. There are more reasons to smile about Invisalign® at our office than you may know. 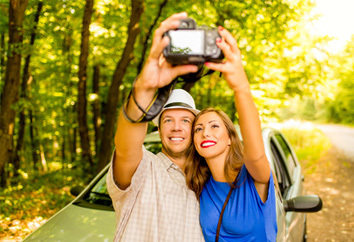 Patients often ask us how Invisalign® treatment compares to braces. Invisalign® is a series of removable aligners that are nearly invisible. 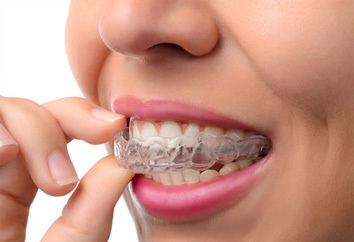 The aligner trays are made of smooth, comfortable, and virtually invisible plastic that you wear over your teeth. Besides straightening your teeth, Invisalign® can improve your oral health. If one or more of your teeth are missing, there are a number of ways to replace them. Dental implants are an alternative to bridges, partials, or complete dentures. They replace missing roots and support artificial replacement teeth. They are comfortable and look like natural teeth. Cosmetic dental treatments like bonding and veneers can not only fix cavities or broken teeth, but also can improve the look of healthy teeth. Veneers cover the entire front surface of the tooth, whereas bonding covers a smaller portion of the tooth. Bonding and veneers make your teeth look better by changing their colour, shape, angle, or spacing. Dr. Hanson can fix teeth that are broken, chipped, or cracked, that have spaces between them or discolouration. 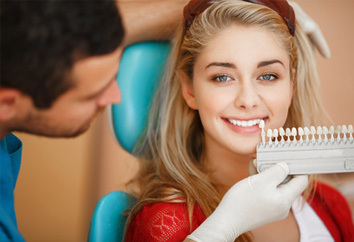 Bonding and veneers can improve your smile and give you more confidence. TMD or temporomandibular joint disorder is a group of symptoms including headaches, facial pain, jaw pain, sore, chipped, broken, or worn teeth, clicking or popping in the jaw, and limited jaw movement. TMJ is temporomandibular joint or jaw joint. These small joints in front of each ear attach the lower jaw to the skull, and are the most complex joints in the body. TMJ is located in an intricate network of bones, including the teeth, muscles, and nerves. Due to this, TMJ conditions affect many areas of the body, from the top of the head in migraine-like headaches to numbness or tingling in the arms and pain in the neck or shoulders. We strive to focus on your oral health goals and try to make a lifetime dental strategy that fits your lifestyle and budget. Our team of professionals has a universal positive attitude that is client-centred. It is our goal to impress our patients with our thorough approach to their care, particularly in the formulation of their lifetime strategy for oral health that is compatible with their individual needs and goals. “My story with Dr. Hanson was nothing but amazing.Stopped in Parry Sound for lunch on our way home from our annual golf trip down south when I unexpectedly chipped one of my back teeth. Seeing the pain I was in my brother decided to text his dentist Dr.Hanson and explain the situation.Without hesitation Dr.Hanson asked where we were and said to meet him at the office in 90 minutes. Ninety minutes later my tooth was temporarily capped and the pain alleviated. I WAS AFRAID OF HAVING DENTAL WORK DONE! Not any more ? I have been a patient of Dr. Hanson's for over a year now. He is great! Dr. Hanson knows my fears and explains everything he is doing before he does it. He has been gentle and professional in all he has done. The rest of his staff that I have had dealings with are professional and kind. I drive 2 hours to get my dental work done. 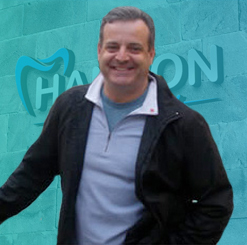 It is well worth the trip as when I leave Hanson Dentistry I am always satisfied. I would highly recommend Hanson Dentistry. First of all, the staff there are very friendly. But I am mainly writing about Hanson Dentistry's support for the Canadian breast cancer foundation. My synchronized swimming club was out canvassing for this particular charity, and Dr. Hanson was kind enough to match what I raised with my neighbourhood canvassing-adding up to a very generous amount. He has supported this cause for the past 2 years and I am very grateful to him. Our club continues to raise money in the hope to find a cure. Thank you! My family has been seeing Dr. Hanson for more than 19 years. We are very happy with the service that he provides. He is very gentle and friendly with people of all ages. He has taken many continuing education courses, which allows him to offer the most current treatment options available as well as a variety of options for different situations. Highly recommend! 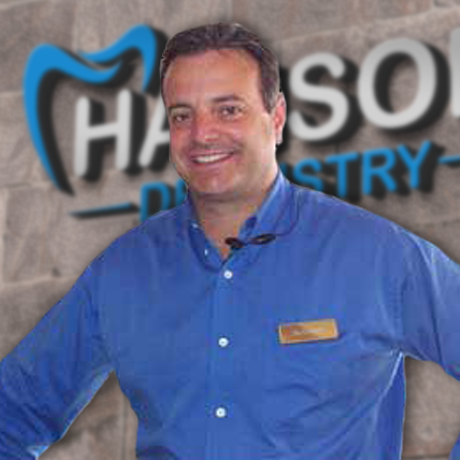 Hanson Family Dentistry truly offers the best dental advice, service and atmosphere . The whole team honestly cares about there patients. We brought our 5 year old daughter, who was terrified at first. They allowed my daughter to check out the tools and scary noises until she was calm and confident enough to allow the team to fix a couple of cavities. Their patience and ability to work with and understand frightened kids was amazing!